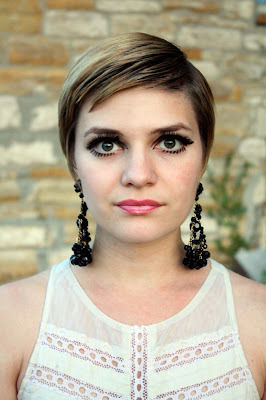 I was Twiggy yesterday! I love how Halloween gives you a chance to assume a different persona and make over-the-top fashion choices. You look so much like her! Love the eye makeup - looks perfect! You look great--the makeup is perfect! I love the dress, too... You should just wear that regularly! you look SO much like her! The whole look is so perfect. Great makeup! Put me in the "you should wear this every day" group too, because you look incredibly darling! You look amazing! Love the eye make-up! Wow! You look so much like her~ beautiful! I was another classic style icon: Audrey! You were pretty much made to be Twiggy. :D The eye makeup and chandelier earrings really make the costume! You have always reminded me of her. I love love love Halloween and everything about it. A pillow case full of candy??? LOVE it!!!! Such a good job you totally look like her. I was seriously considering doing Twiggy myself this year, but it would have taken too much effort to dye my hair blonde. I LOVE your take. So adorable! wow!! love you make up!! you look so pretty!!!! i loooove your eyelashes! fabulous! Ohhhh very Twiggy. I really like it. Your hair looks really good! You make a perfect twiggy! Also that jacket colour is amazing!!!!!!! Great job on the makeup! You were made to be Twiggy. Ah! I love your makeup! you channel her so well in this look! You do look SO TWIGGY and I love it! You're such an awesome Twiggy! 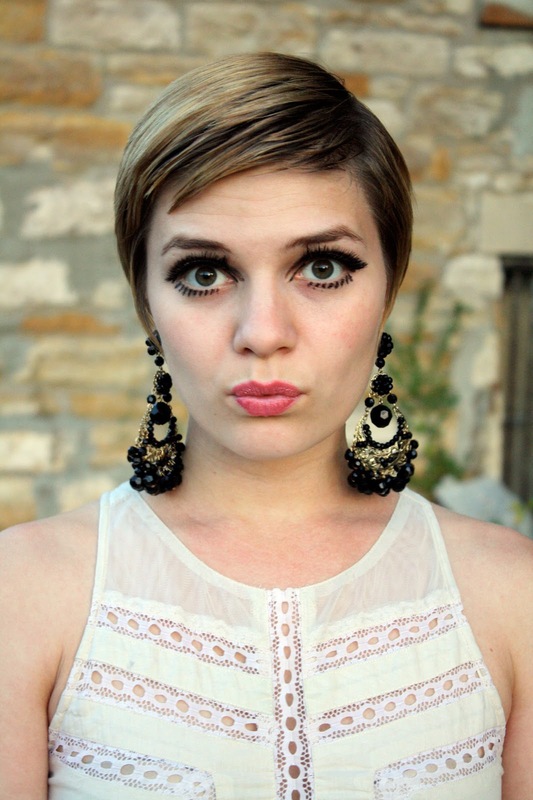 you look adorable but I thought you were Edie Sedgwick at first. XD my B. I love the dress. your coat makes me swoon! 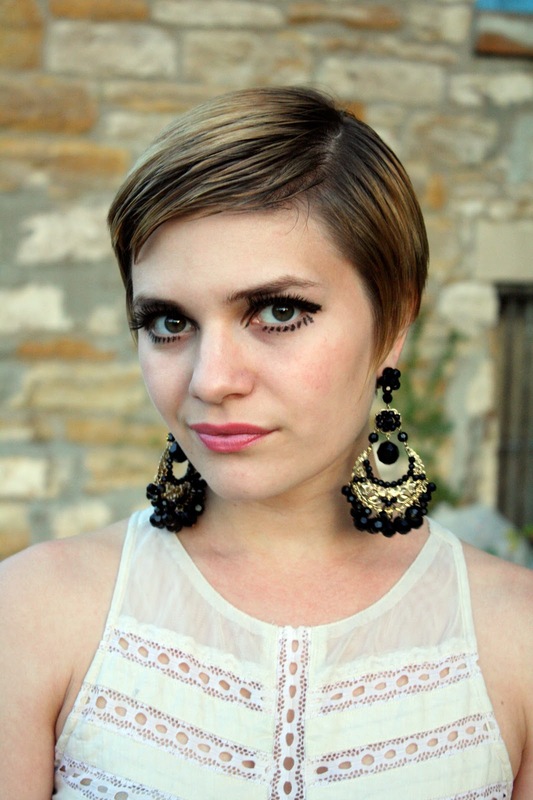 Mod makeup was made for you!